All right, so I have some big news, everyone – this week I received the proofs for the interior and cover designs of The Redemption of Erâth: Consolation! I was very excited to see what they looked like, and naturally I wanted to share them with you as soon as possible. I’ve spent some time going over them and thinking about possible improvements, but before I get into too much detail, I’d love to see what you think. 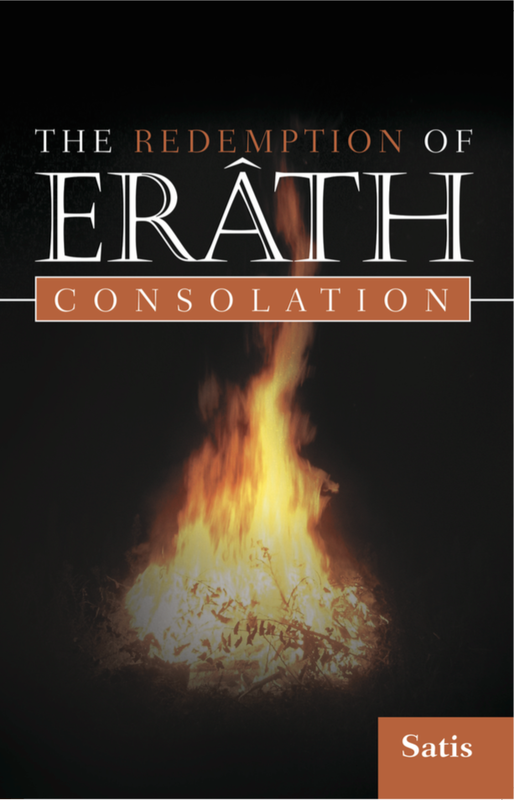 The cover for The Redemption of Erâth: Consolation. Fire and Darkness. Yet more fire. Hm – was this a theme? In all honesty, I think the cover leaves something to be desired. 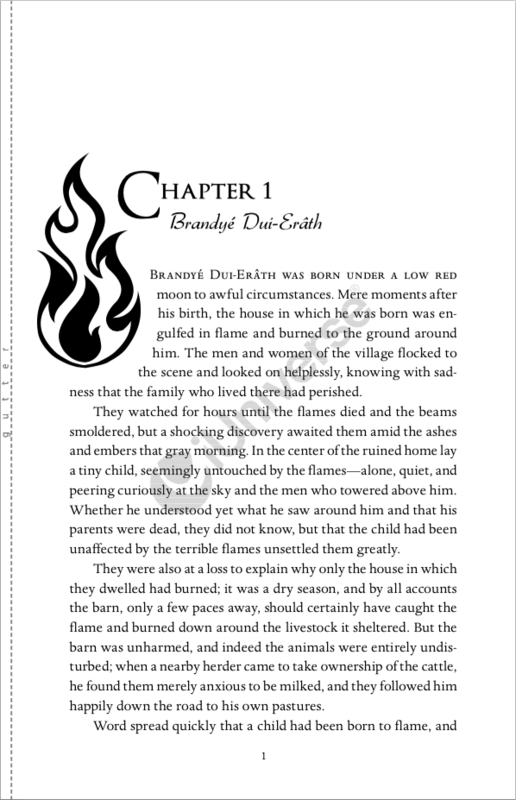 I’m actually pretty happy with the interior; I wasn’t expecting the little graphic flames here and there (they use them as section breaks as well as chapter headers), and while I’m aware they could come across as a little cheesy, personally I think it lends something to the atmosphere of the book. I feel a little bit lost; I don’t have a cover designer myself (although I do have the option to submit my own design work), so I’m somewhat reliant on what the publisher comes up with. I’m pretty sure I’m going to ask them to change the color and use my fire image, but I still just don’t know if the cover could be any better. What do you think? In all honesty, I agree with you on all points. The orange highlight looks much more like tomato soup with too much milk. I would wish they would center your name in the box. I think your hearth picture would make more sense as well. I hope you can get it changed! You’re in for the most frustrating part of your journey, and good luck with it! Can’t wait to actually buy it. Thanks for your feedback! I like your description of the color; I also agree that it’s not the most appealing color on the front of a book. I’ve actually worked on tweaking the cover a bit; you can see the results on my Facebook page http://www.facebook.com/satiswrites. I’m also absolutely thrilled that you’re looking forward to buying it – I’m really pretty nervous about whether anyone will think it’s worth reading or not! In all honesty, I agree with most of your comments. The one that bothers me the most is the orange color. It looks less like fire and more like tomato soup. (Not that there’s anything wrong with tomato soup. I just don’t think it should be confused with fire.) 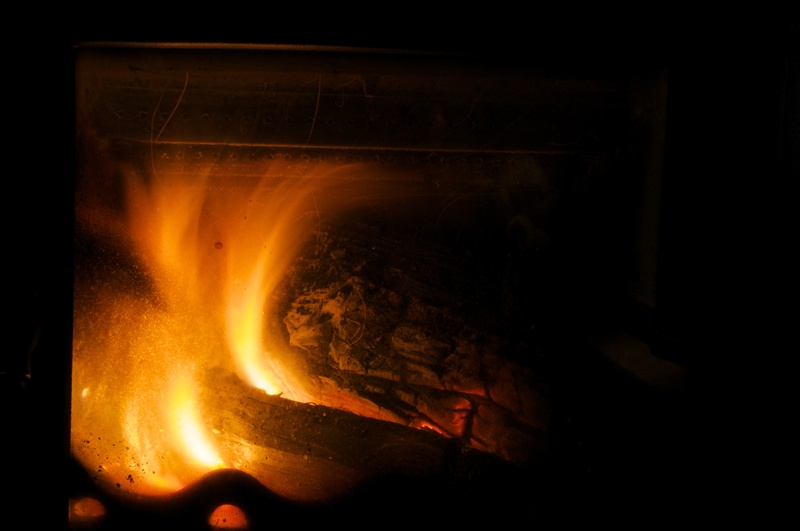 The small bonfire does look a little comforting, but I think your hearth picture would be more effective. 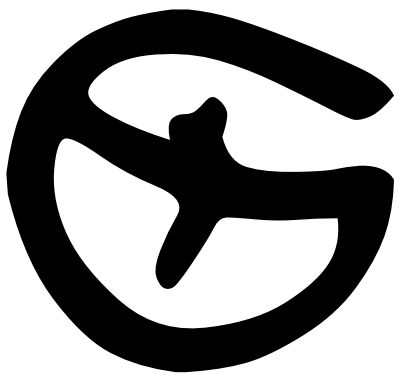 The font is pretty standard, and I personally don’t have a problem with it. You’re in for the most frustrating part of your journey, but you got this! I’m not sure if you meant to write kind of the same thing twice, but twice the thanks from me! In terms of the font, I’ve come to appreciate it, and I’ve actually kept it on my own re-done draft of the cover. Thanks!